ITS ALL ABOUT THE VIEWS! Come check out this extra large 1 bedroom 1 and a half bath condo. With over 800 square feet of living space and double sliders out to your deck. You can enjoy the gorgeous,panoramic views of the bay from your kitchen, dining table, and living room! Updated entire kitchen including cabinets, back splash, and appliances. 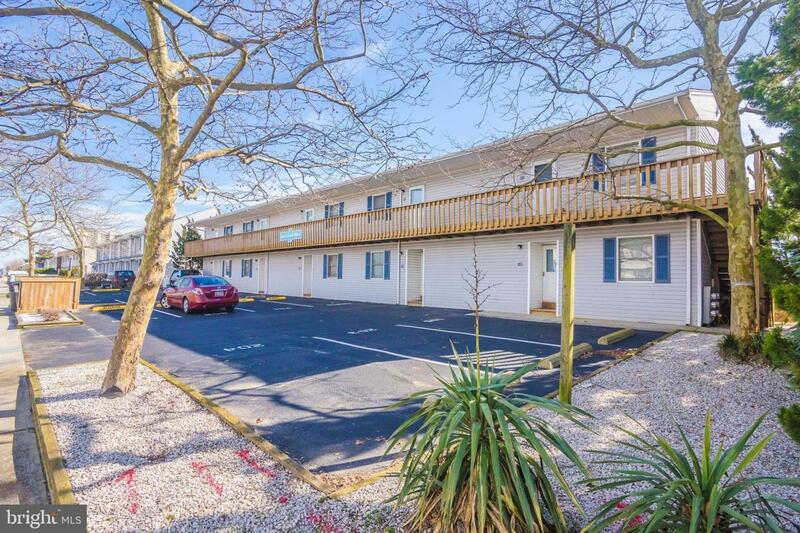 This unit is located in a quiet, 10 unit building just a short walk to the beach. With this North Ocean City location you get all the stores, shopping, movies, and dining options you will need. Exclusions All Bedroom Furniture And Decor Personal items kitchen Personal items: Pots/Pans/Plates Ect.